WEDNESDAY, March 30, 2016 (HealthDay News) -- People with persistent symptoms associated with Lyme disease are unlikely to find relief from longer-term antibiotic therapy, according to a new Dutch study. Although antibiotics are the correct therapy to treat Lyme disease when it is diagnosed early, longer-term use appears ineffective against the symptoms linked to the tick-borne illness and may carry the risk of side effects, the researchers said. "Most patients with Lyme disease are cured after initial antibiotic therapy. But, up to 20 percent of patients report persistent symptoms, such as muscular or joint pain, fatigue or concentration problems, despite initial antibiotic therapy," said study senior researcher Dr. Bart-Jan Kullberg. He is a professor of infectious diseases at Radboud University Medical Center in Nijmegen, the Netherlands. Treating these patients with longer courses of antibiotics has been controversial, Kullberg said. "Previous clinical trials have not shown that prolonged antibiotic treatment has beneficial effects in patients with persistent symptoms attributed to Lyme disease. Nonetheless, the debate about this issue has continued," he said. 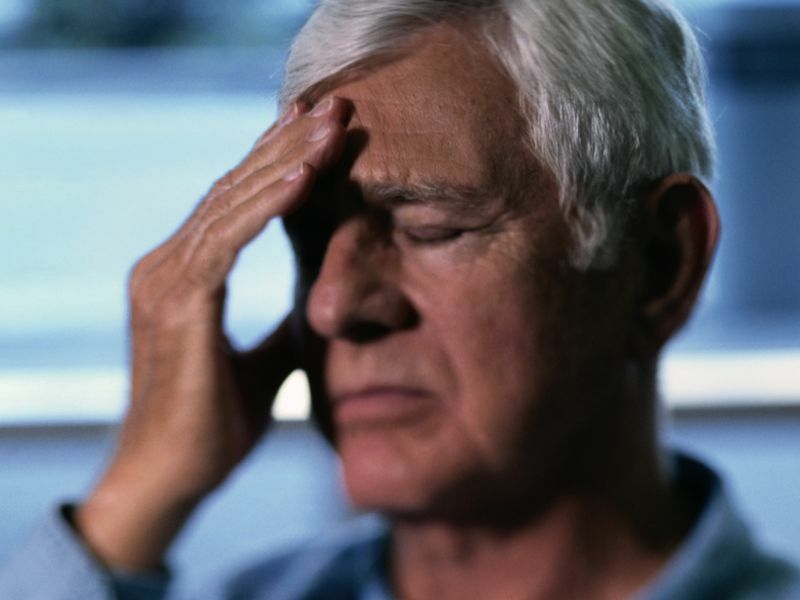 The major conclusion from this new study is that three months of antibiotic therapy does not provide additional benefits to patients reporting persistent symptoms of pain, fatigue or mental confusion, he said. "These patients need customized care, not just a prescription for antibiotics," Kullberg said. The study findings were published March 31 in the New England Journal of Medicine. The debate over what's often called chronic Lyme disease dates back almost as far as the discovery of the illness 40 years ago. Many sufferers insist that chronic Lyme is a very real disease. But many medical experts say the symptoms could be those of an undiagnosed illness in patients. The new study included 280 patients in Europe who suffered from symptoms such as muscle and joint pain, fatigue and concentration problems, and were previously diagnosed with Lyme disease. During the first two weeks of the trial, all the patients were given the antibiotic ceftriaxone (Rocephin). Then they were randomly divided into three groups. The first group was given the antibiotic doxycycline (Doryx) for 12 weeks; the second group was given a combination of the antibiotics clarithromycin (Biaxin) and hydroxychloroquine (Plaquenil); and the third group was given a placebo. Before and after treatment, the patients completed questionnaires about their symptoms, their fitness level, quality of life and well-being, Kullberg said. Patients answered the questions after 26, 40 and 52 weeks. They also took memory tests and used a pedometer to record their movement, he said. The researchers found no clear differences between the groups at any of these evaluations. Despite these findings and others, some groups believe that antibiotics are the treatment for what is sometimes called chronic or late-stage Lyme disease. For example, the Global Lyme Alliance says: "Late-stage Lyme may be treated with combinations of oral, injected (shots) or intravenous antibiotics over extended periods." However, the Infectious Diseases Society of America recommends against using antibiotics to treat the symptoms. One Lyme disease researcher said he doubts that most patients with so-called chronic Lyme disease ever had Lyme disease in the first place. "In my experience most of the patients I see who carry a diagnosis of chronic Lyme didn't have any evidence of ever having Lyme," said Dr. Gary Wormser, director of the Lyme Disease Diagnostic Center at Boston Children's Health Physicians in Valhalla, N.Y.
"My hope is that studies would focus on trying to find out what's causing these symptoms, and coming up with a better treatment approach," said Wormser, who is a spokesman for the Infectious Diseases Society of America. "These patients are suffering, and we need much more research into this area." Phillip Baker is executive director of the American Lyme Disease Foundation. He said the results of the new study mesh with results of four U.S. National Institutes of Health-supported clinical trials that showed extended antibiotic therapy was of no benefit for the treatment of Lyme disease syndromes that "some people refer to as 'chronic Lyme disease.'" Baker added, "Obviously, in the case of Lyme disease, it is not prudent to treat with antibiotics until all symptoms disappear as recommended by some." Lyme disease is caused by the bacteria Borrelia burgdorferi, which is transmitted by a tick. The disease is characterized by a red "bulls-eye" rash. Only a small proportion of people with a tick bite actually develop Lyme disease, the study authors said. In many patients, the disease is cured completely by treatment with antibiotics lasting between 10 days and four weeks, the researchers said. In some cases, late onset of the disease can occur if the infection isn't detected at an early stage or is not treated with antibiotics, the study authors said. Dr. Paul Auwaerter is a professor of medicine at Johns Hopkins University in Baltimore and co-author of an accompanying editorial in the journal. "This is the fifth trial to date that has not suggested patients benefit from extra antibiotics," he said. "This is contrary to what is often a popular practice of some physicians." The prolonged use of antibiotics can be dangerous, Auwaerter said. "Antibiotics can have collateral damage. They can disturb your natural microbiome -- that is the good bacteria that are in the body. Some antibiotics have side effects, including allergies and irritation of the liver," he added. Antibiotics probably aren't the right treatment for persistent symptoms associated with Lyme disease, Auwaerter said. His advice is to "work with a doctor who is willing to roll up his sleeves to find the most accurate diagnosis for your condition, and individualize therapy based on that diagnosis."